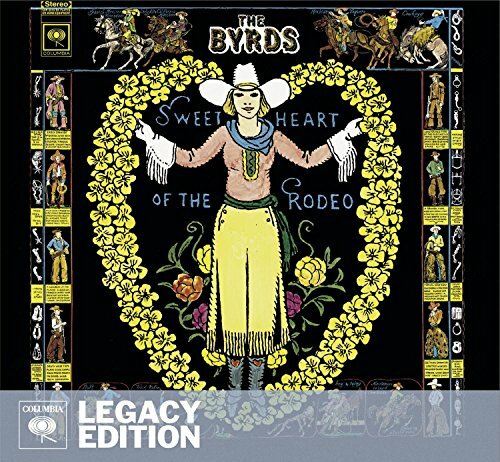 Generally reckoned to be the most important and greatest country-rock album of all time, 1968's Sweetheart of the Rodeo is back in a deluxe reissue that really brings to light the genius of Gram Parsons and the Byrds themselves. Disc one reprises the original album with the vocals Roger McGuinn substituted for Parsons due to contractual entanglements, then offers the songs with the original Parsons vocals. The disc ends with an unreleased Kevin Kelley vocal on All I Have Is Memories presaging the glorious run of rarities on disc two, beginning with the International Submarine Band's lone single for Columbia and three tracks in stereo from their Safe at Home album, then turning to 14 unreleased rehearsal and alternate takes from the Sweetheart of the Rodeo sessions. If you have any questions about this product by Columbia/Legacy, contact us by completing and submitting the form below. If you are looking for a specif part number, please include it with your message.